Where to find... Pattern Hack's. 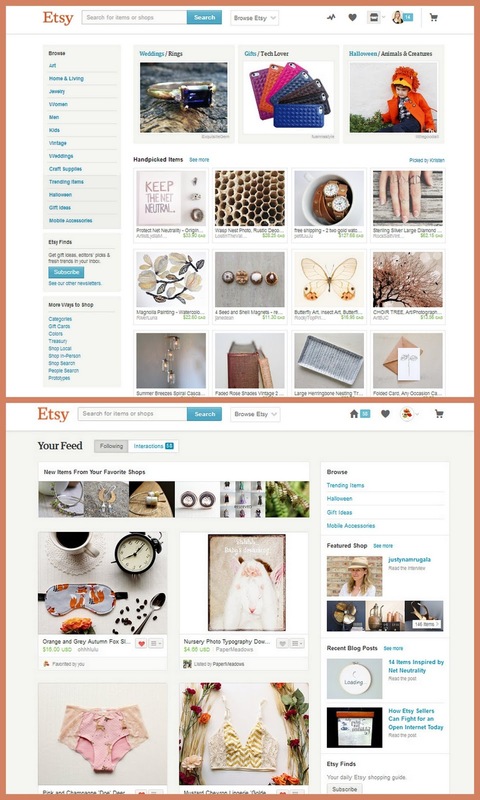 In March, Etsy started rolling out a series of tests with their homepage, shipping interface, and shop layouts. If you are a frequent Etsy-user, it's been a pretty tumultuous few months, but it seems as though decisions are finally being made. Etsy has phased out their old homepage, which featured member-curated treasury collections, for a facebook/Pinterest-style activity feed. I can't say I like this change, personally. It's affected many community members who had been involved with treasury teams, and has changed the way that sellers promote on-site - not entirely a bad thing, but in the lead up to the holiday rush, this can be a huge hurtle to overcome. Like any change, there is a learning curve... I miss the old, crisp, merchandised homepage. I find the new homepage to be a jumble of random, but ultimately Etsy has the final say and based on past experience, I don't think they are that interested in user input on the matter. The problem with this new layout is that it assumes Etsy Shoppers want to play the favoriting and following game. If you don't, you'll end up with some pretty random items on your "personal" homepage (Dan just opened an account and had lots of pastel women's clothing and some lovely dishcloth's in his feed... maybe a sign he should wash more dishes). What are your thoughts on the new homepage? I feel like I've talked about it until I'm blue in the face. I still don't like it, but it is what it is... I don't love the new direction (I am still pissed about the "redefinition" of handmade), but I've had great success at Etsy so I'm torn. As a result of these changes, the team that I run with Kathleen has had to adapt and change... and this has actually turned out to be a pretty exciting thing! We used to just be a small treasury-making team that focused on highlighting Canadian members. We've re-vamped, and re-named and now hope to become a hub for Candian Etsy Sellers, and shoppers looking for the best Canadian handmade and vintage goods. Why the focus on Canadian-Content? Canadian sellers and shoppers face a few more challenges that my friends to the south. As a seller, there are challenges staying competitive on a global marketplace such as Etsy because my cost of running a business is so much more expensive. I have to pay customs and duties out the wazoo to have fabric imported. Postal rates are about double what they are in the US, and often come with far fewer features (like tracking)... Shoppers too often face similar challenges when buying online. Shipping an item into Canada can cost an arm and a leg not just in shipping fees, but the customs processing charges and duties as well... Plus, it's nice to support local artists and makers. If you're in interested in seeing some unique Canadian Finds, you can check out our facebook page or join our seller team. I was pretty overwhelmed with the change that happened last week... it really has impacted the way that I market myself on-site as well as the way that I interact with the Etsy seller community (something I enjoy doing). I'm glad that we've been able to come together as a group and reinvent ourselves. Love to be part of this, except I fail at the treasuries part. :) I've been on Etsy a while, but it was secondary to my day job. I agree that the silver lining to all these traumatic changes on Etsy is our revamped team. We'll see where this all takes us and it's nice not to feel alone on the journey. Here's to hoping that we all have a successful fall and holiday season. The sad thing about having an esty business is that it´s not really yours, it´s esty´s. Etsy is not really a small or medium business; it a huge corporation, not unlike Amazon (but at least Amazon cares about the customer experience) For this very reason many esty sellers (such a Brindle and Twig, Mrs. Depew, to just name a couple) have both esty shops as well as their own online store that they own and have a say over. It´s a great idea to have both. I´m not saying that people should leave esty it´s a relatively safe place to do business and it´s very cost effective, but it is much safer to also to have your own online store as well. If you were to have your own online store you could offer a small discount to your esty customers who shopped directly with you for the first time. You could make sure that your customers know that you also sell off esty. This could also potentially really help your google visibility. When I search for lingerie patterns you don´t show up. Part of your mission statement could be about your definition of handmade and what the creative process is for you. 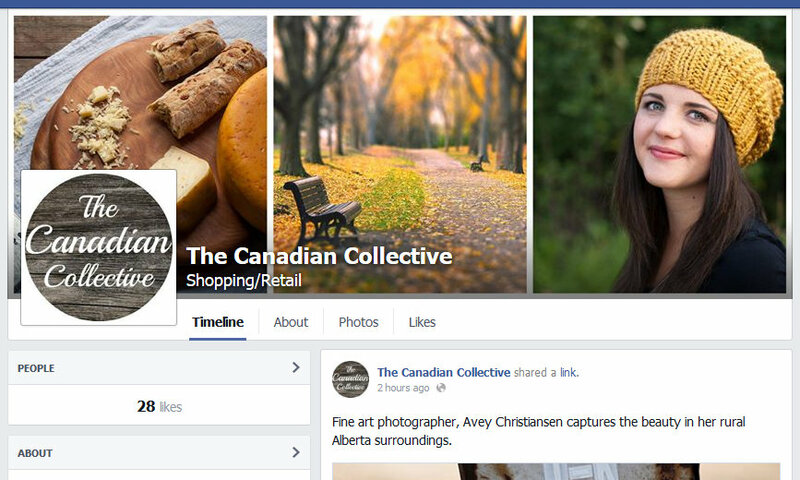 I would love to see you and all of the members of the Canadian collective open up your own shops and be a collective both on and off esty. Between the abysmal customer service, the redefinition of handmade, and the lack of concern for the customer experience I have decided to make sure that none of my money goes to esty, but rather the actually small business owners themselves. I know, a drastic decision, but every time I doubt it I just go back and look at the esty policies and I while I can support crafters and small business I can´t support those policies. If you sold all your patterns on another site I would probably buy them all right now.